How often you have been to Mumbai ? 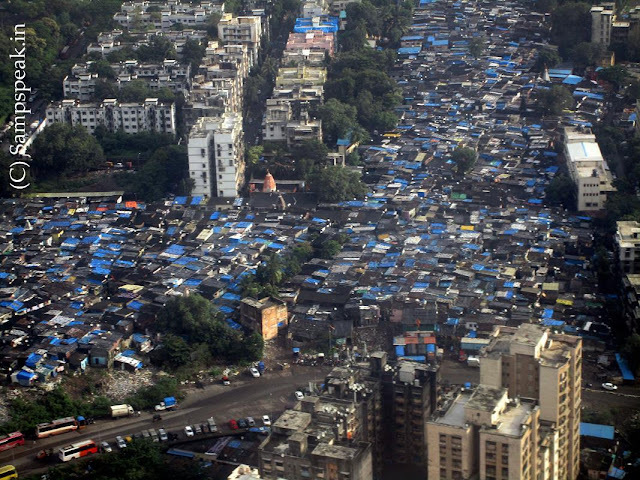 ~ for somebody who has visited Mumbai only a few times – it presents a curate’s egg – concrete jungle, sea, skyscrapers, slums with single storey .. .. .. trains, taxis, maddening crowds everywhere ! – have you read or heard of : Bombay Gymkhana, Brabourne, Wankhede, DY Patil, Bandra Kurla Complex, Marine Lines, Willington, IPCL, Rashtriya Chemicals and more , - some of the grounds where Cricket is played in Mumbai not to talk about the maidans and gulleys. Gowalia Tank Maidan, is a park in central Mumbai of historical fame – you may not instantly recognize it – it is now called ‘August Kranti maidan’ where Mahatma Gandhi issued the Quit India speech on 8 August 1942 decreeing that the British must leave India immediately or else mass agitations would take place. The call mobilised the citizens to a huge Civil Disobedience movement as the British refused to grant independence till the War was over. It is nearer Grant Road railway station in Western Railway. Introduced in 1992, the 12953/12954 August Kranti Rajdhani Express is a daily service. It operates as train number 12953 from Mumbai Central to Hazrat Nizamuddin and as train number 12954 in the reverse direction. It is stated that ‘Gowalia Tank’ was used to bathe cows. Go - Walia comes from the marathi word Gaie (cow) Wala (owner of the cattle). The cattle owners would bring the cows to be bathed in the waters of the tank. This maidan too hosts cricket games split into smaller grounds ! First, we may not bend the knee to an aggressor, or obey any of his orders. Second, we may not look to him for any favors nor fall to his bribes, but we may not bear him any malice nor wish him ill. Third, if he wishes to take possession of our fields we will refuse to give them up, even if we have to die in an effort to resist him. Fourth, if he is attacked by disease, or is dying of thirst and seeks our aid, we may not refuse it. Fifth, in such places where British and Japanese forces are fighting, our non-cooperation will be fruitless and unnecessary. The All India Congress Committee passed the above resolution, known as “Quit India ” resolution on 8th August 1942 ~ and on 9th Aug 1942 (75 years ago) – Gandhi was arrested in the morning and was taken to Agakhan Palace, Poona. The AICC was declared illegal. 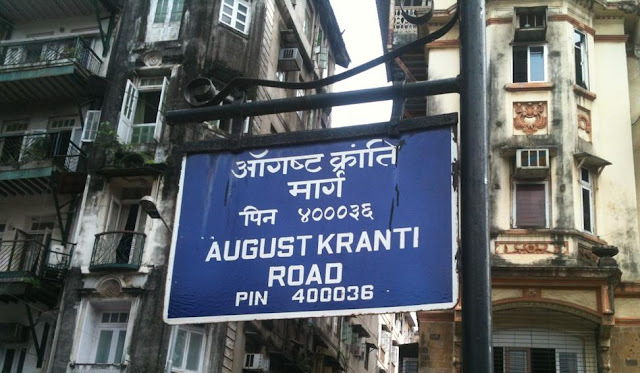 For those who have not read much : The Quit India Movement (Bharat Chhodo Andolan or the August Movement (August Kranti)) was a civil disobedience movement launched in August 1942 when Gandhi gave the call for immediate independence. It was a call for the negotiating table which only came hours after the entire Indian National Congress leadership were confined. During the 1942, the British Governor General in India Lord Linlithgow unilaterally without consulting Indian leaders brought India into the war. Though some wanted to support the British hoping for eventual independence, most were in disagreement. Those days, perhaps only Netaji Subash Chandra Bose was decisive and he organised INA against the British. In 1942 British Govt sent a delegation to India under Stafford Cripps with the purpose of striking a deal with the INC and obtain total cooperation during the war for which the progressive devolution and distribution of power would be quid pro quo. The time frame was not definite and talks naturally failed. On 14th July 1942, INC demanded complete independence, it warned of launching massive civil disobedience movement. The resolution was passed at the Bombay session of AICC ; this monumental place lies closer to Grant road railway station – the Gowalia Tank Maidan (August Kranti Maidan later) a park in Central Mumbai was the venue where Gandhi told Indians to follow non-violent civil disobedience. He instructed the masses to act as an independent Nation. The next day (Aug 9) he was imprisoned and taken to Pune. Ballia, a District of UP (of Mangal Pandey of First Indian war of Independence 1857 fame) overthrew the district administration. British response was brutal – over lakh of people were arrested, resisters and innocents were killed. All this hastened the Independence. After 75 years, only the name of the party remains, the spirit is totally forgotten. We still continue to read history of Michael Dyer, Ash and many others while great heroes like Subash Chandra Bose, Bhagat Singh, Veera Vanchi Nathan, VO Chidambaranar, Va Ve Su, Udham Singh do not embellish our lessons. Now to conclude on a lighter vein, Bombay Gymkhana was the ground where India first played a Test match at home. Cricket was played in India in 1877, by the 1920s, the Bombay Quadrangular tournament was attracting players from all over India, making it the biggest and most influential cricket tournament in the country. Bombay Gymkhana, formed centuries ago exclusively for Europeans, where Ranji was denied admission, with its white colonial architecture, was the venue. The only Indians allowed into the club were servants, although this rule had to be suspended for the 1932-33 Test to allow the players to use the facilities.